Suphachai Silamon 2009 18 72 7268 40 minutes from downtown. 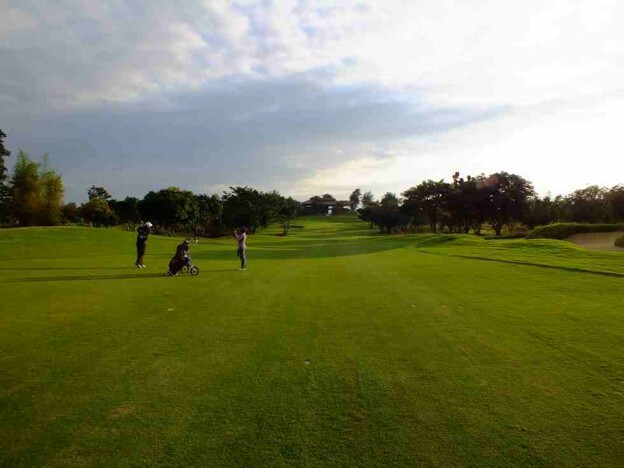 Chiangmai Inthanon Golf and Natural Resort is a recent addition to Chiangmai’s golf scene. It’s a scenic delight with panoramic vistas of Doi Inthanon, Thailand’s highest mountain, dominating the background. At 7,268 yards off the regular white tees. Inthanon is a pleasant layout with a mix of par 3 lengths and styles, a few strong holes will examine your game, but there are a few more leisurely ones to enjoy as well. Being new, the course is in good condition and well worth a trip to soak up the serenity of this part of the country.